Carlton Garden Club meets on Tuesdays during lunch from September to May. Each week students come to learn about gardening while actively planting and maintaining a variety of flowers and vegetables. 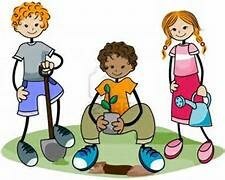 Our program uses a garden curriculum that meets California State Standards in Science, written for 1st, 2nd & 3rd grade. This is also our guideline for projects and activities. We are supported by Fundraising, Donations and the Home & School Club. All Carlton students are welcome and encouraged to join in from week to week. If you are interested in volunteering during garden club all you need is 90 minutes and a willing spirit; experience not required.